Through donations and by visiting our attractions and events, you help the York Archaeological Trust to continue to explore our rich and varied heritage. York Archaeological Trust (YAT) is an independent charity, founded in 1972, which investigates the past for the benefit of present communities and future generations. Linking professional skills and archaeological expertise with a broadly based background knowledge and experience, YAT carries out carefully targeted and cost effective archaeological recording, excavation and research for a broad range of clients and partners. The results are made available in a number of innovative and dynamic ways including websites, education days, publications and articles. 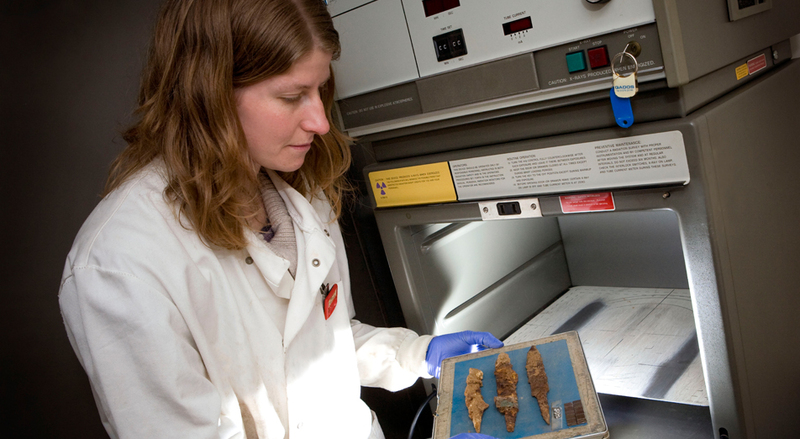 York Archaeological Trust are committed to shedding light on the past through analysis of artefacts. In 2012, York Archaeological Trust celebrated 40 years of archaeological discovery within Great Britain. This has seen involvement in excavation and conservation across a wide range number of archaeological sites and artefact finds including; the Coppergate dig, the Victorian slums of Hungate, the headless Romans thought to be Gladiators and Britain’s oldest brain. Recently, York Archaeological Trust has expanded its operations which have seen archaeological units in Sheffield, Glasgow and Nottingham come under the YAT name, each bringing individual and unique skills and opportunities. York Archaeological Trust will continue to explore our heritage and to use up-to-date techniques to explain the discoveries to ensure that everyone has the opportunity to fully engage with our cultural heritage. For further information on York Archaeological Trust visit our website www.yorkarchaeology.co.uk or to speak to someone directly call 01904 660000. Become a Friend of YAT and help fund research into York’s long history. Registered Office: 47 Aldwark, York, YO1 7BX. York Archaeological Trust for Excavation and Research Limited is a registered charity in England & Wales (No. 509060) and Scotland (SCO42846).